Apply some raw milk on your face in circular motion. Let it stay for few minutes then rinse off with cold water. Application of raw milk not only deeply cleanse your skin but also helps to get fair skin. You can also apply carrot juice as skin cleanser. Dip a cotton ball in some carrot juice and gently cleanse your skin. Let it stay on your skin for few minutes and then wash off with fresh water. Regular application will give you blemish free and glowing skin. Yogurt is also one of the best skin cleanser for dry skin, not only removes dust impurities but also helps a lot to give you smooth and flawless skin. Apply some fresh yogurt on your face and neck. Massage for few minutes and then wash off with lukewarm water. Take 5-7 almonds and grind them well to make a fine paste. Take one egg yolk, beat it well and add one tablespoon of Honey and also add almond paste. Now mix them well and then apply on face and neck in circular motions. Let it stay for 10-15 minutes then rinse off with lukewarm water. Take equal amounts of honey and lemon juice. Mix them well and apply on face and neck in circular motions. After few minutes rinse off with lukewarm water. 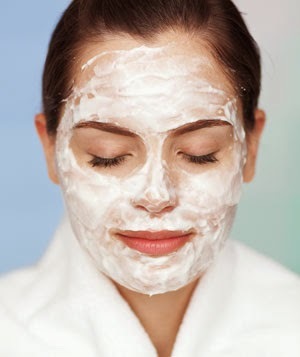 You can also make a face cleanser by mixing equal amounts of milk and honey. Now apply this mixture on face in circular motions and use upward strokes on the neck area. Leave this on for 10-15 minutes then Wash with cold water.